Monday Must Haves - A Fabulous Coat! One upon a time a very fashionable 8 year old and her sister were on their annual school wardrobe pilgrimage to the lower east side of Manhattan, where the clothes where cheaper and the stores were open on Sundays. Every September our parents took us there to shop for bargains, hence my bargain spark was ignited. But on this particular trip I fell in love... with a coat. It was called a Weather Winkie and it was brown with a fur collar and a shiny gold winking eye charm zipper pull. And so began my love of coats. 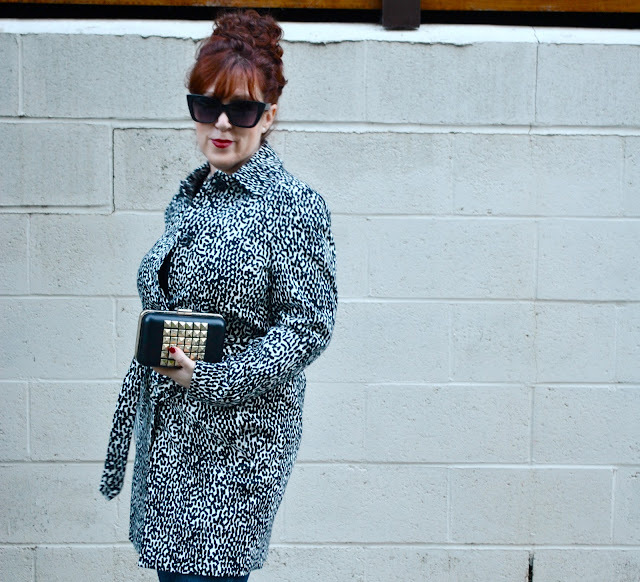 Coat 101 - A good trench coat will take any outfit from drab to fab. I'm usually behind the camera taking photos for Fashionloft8, but my fashion police turned the camera on me and my latest versions of Weather Winkies. Love the fabric of this new coat, (Brocade is one of the fabrics on my 2012 Trend Report), the faux fur collar is removable, so you get two looks for the price of one, and speaking of price it was $70 at Target and really has the look and feel of upscale vintage. 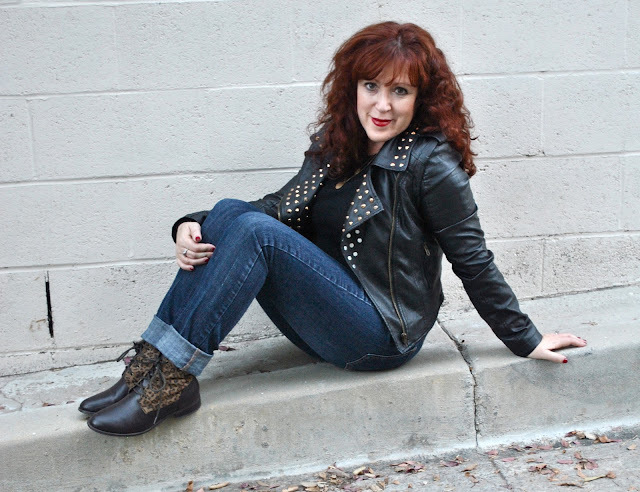 The Moto Jacket from our Donavon Bentley boutique is great for when I'm feeling a little edgy. Now this is just one of those ultimate bargain scores you brag about, this DVF trench still had the original price tag on it of $498. I found it at Nordstoms Rack and paid $189, now that's the thrill of the hunt! Now, if it would only get just a little cold in California!